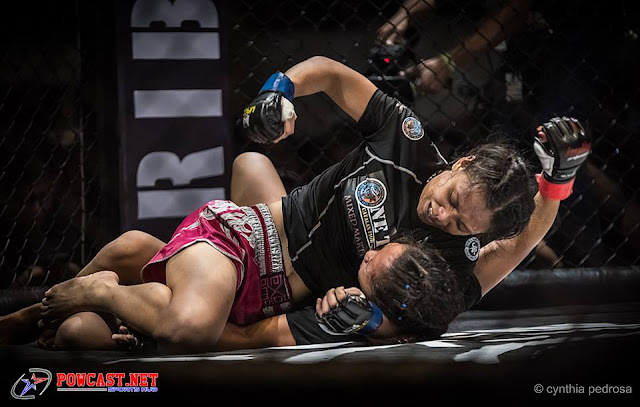 Filipino newcomer Jomary Torres sets her sights on a colossal goal in her ONE Championship debut as she aims to make a statement against up-and-coming Thai martial arts superstar Rika “Tinydoll” Ishige. Both ladies are set to square off against each other on the undercard of ONE: KINGS & CONQUERORS, which takes place at the glamorous Cotai Arena of The Venetian Macao in Macao, China on 5 August. Torres, who holds a fledgling professional mixed martial arts (MMA) record of 1-0, is not expecting to be other competitor’s footstool to move up in the rankings as she intends to walk out with the victory in her first appearance as a ONE Championship athlete. Ishige is a certified eye candy that can grace on the cover of a top fashion magazine, sashay down the catwalk with the latest apparel, or endorse high-end beauty products in a television advertisement. But Ishige is more than a pretty face because deep within, she is an authentic martial artist. The 28-year-old beauty is of Thai and Japanese heritage and comes from a family of martial artists. Her late father was a judo practitioner, and her older sister who is now a medical doctor trained in Taekwondo. Heavily influenced by her father, Ishige began her martial arts training at the age of nine with Aikido, Karate and Taekwondo. Ishige successfully won her first two assignments as a pro this year, stopping Audreylaura Boniface via first-round technical knockout this past March before notching a first-round submission win over Nita Dea last May. “We are keenly studying my opponent for this fight. She is a true martial artist. It’s part of her lifestyle. It’s in her blood,” Torres said of Ishige. “I know what she is capable of doing inside the cage. She has a good Muay Thai base. Aside from that, she also has a good ground game. But I am coming into this bout very prepared. I am not giving myself any room for error,” she added. Even though Ishige seems to have the upper hand in some departments of the vast fight game, Torres has no qualms when it comes to trading kicks and punches with her highly-touted Thai foe. “My foundation is Wushu. I have no problem if she wants to fight standing up. I am already expecting that she will trade strikes with me. I can strike very hard too,” she cautioned. Torres and Ishige are relatively inexperienced with almost matching records, but the Filipina striker believes that her key to victory lies wholly within herself. “I will work hard on myself. I like to concentrate my training on myself. It does not matter about the opponent. The important thing for success is self-confidence. The key to self-confidence is preparation, and I am well prepared for this fight. If I have good preparation, I can fight anybody,” she ended.